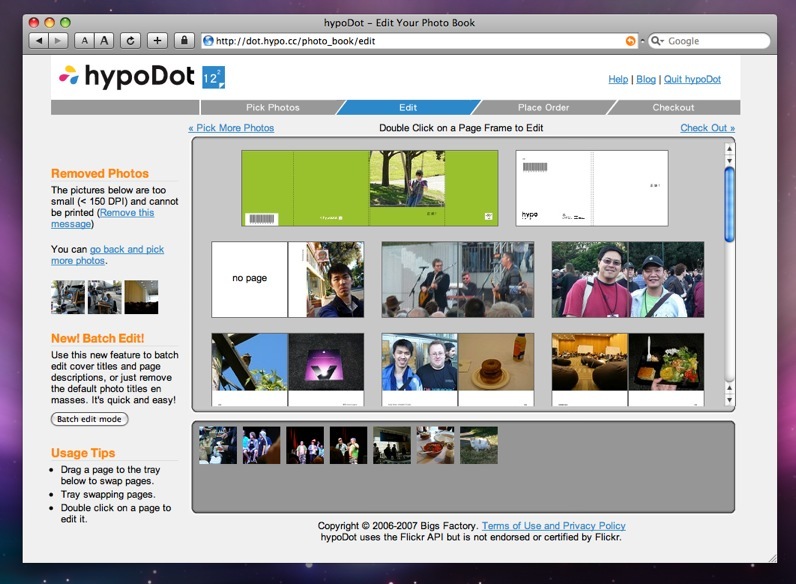 Hypo is a web service that prints photobooks from iPhoto and flickr. To print photobook or calendar from iPhoto 6+, Hypo provides a iPhoto plugin that upload your book to our server with simple clicks. 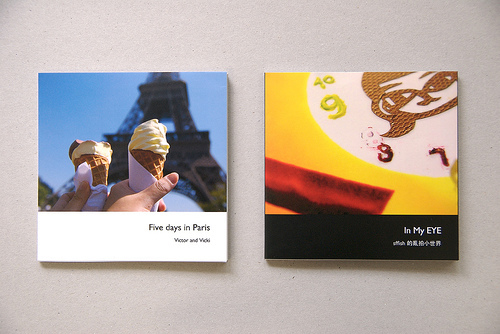 To make stylish booklet called '12-square' from flickr, you can use HypoDot web app to make fun with your great photos right inside the browser.